This is the time of year when all I want to do in the evening is curl up in my jammies with a nice cup of tea and a long romantic movie, like Titanic or The Notebook. There’s nothing quite like losing yourself in a love story for a few hours. And having a project to bead while you watch is even better! 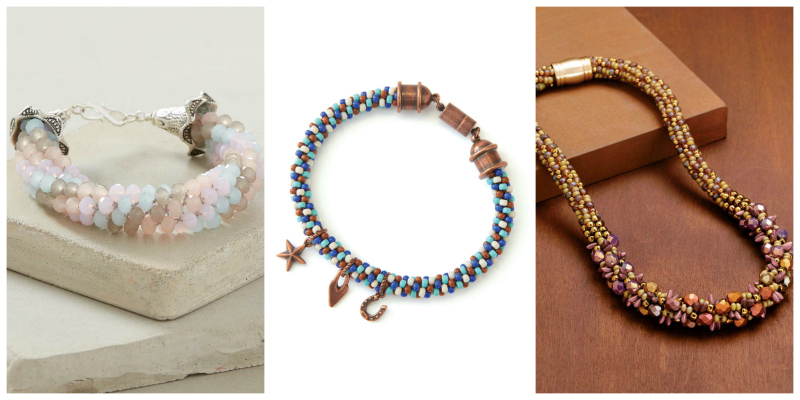 Read on for some romantic bead woven and beaded kumihimo projects that you’re sure to love. 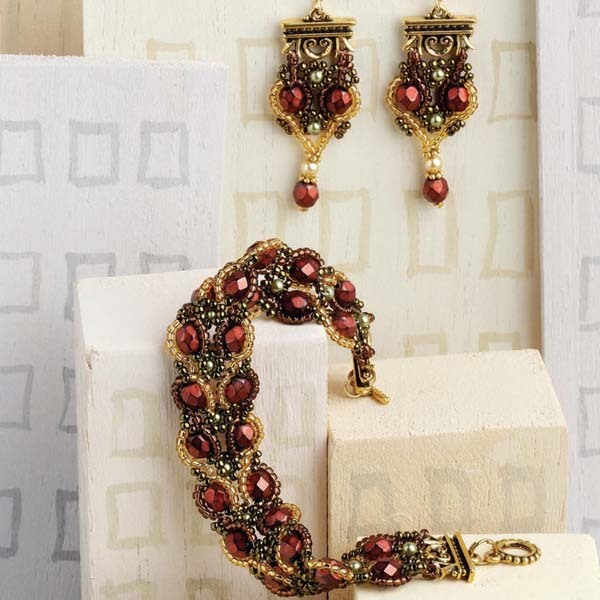 Lanai Kinsky’s Hopeless Romantic bracelet and earring set incorporates a subtle heart motif. I think this jewelry set is even more beautiful and romantic than Rose’s Titanic necklace. And it’s certainly less expensive! The Heart-to-Heart Bracelet by Janet Palumbo features interlocking hearts in the focal. Feminine curves and pearl accents complete the bracelet’s romantic look. Stitch this project for yourself or someone you love! If you haven’t tried kumihimo yet, now is the perfect time! What better way to spend a chilly winter evening than falling in love with a new beading technique? Linda Anderson’s Sweet as Sugar Bracelet is dreamy project that’s also an easy introduction to kumihimo. 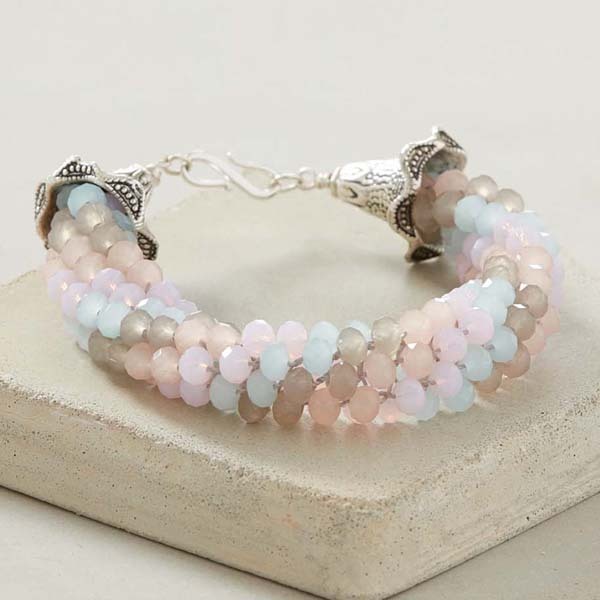 The bracelet’s braided section consists only of crystal rondelles in 4 pretty pastel colors. 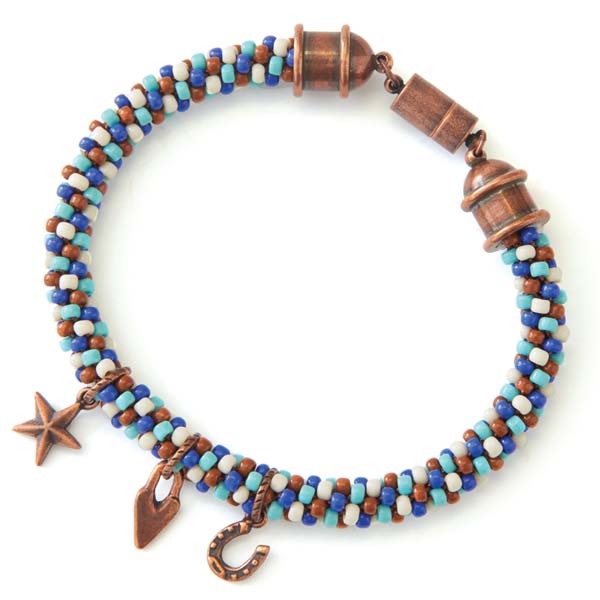 Gabby Guset’s Kumihimo Charm Bracelet would be a perfect design to modify, using soft colors and incorporating traditional charms such as hearts, bows, and flowers. 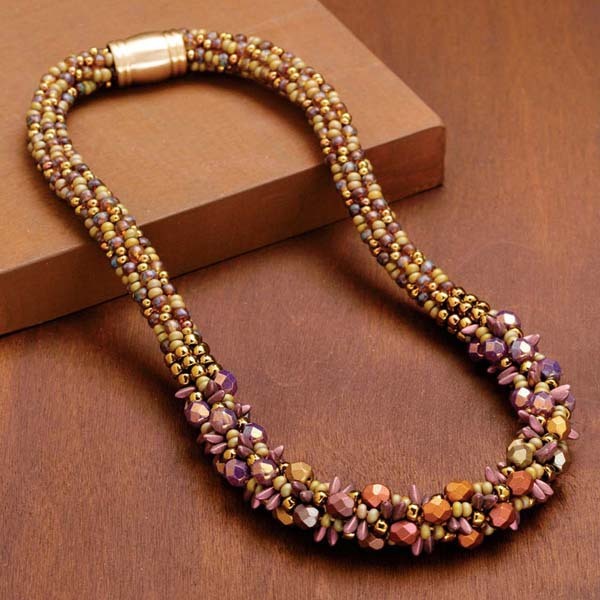 Adrienne Gaskell’s Melange de Perles Necklace is another decidedly romantic piece of jewelry, with its rich purple and lustrous bronze beads. For the ultimate romantic project that incorporates both bead weaving and kumihimo, check out Maggie Thompson’s brand-new Hearts Afire necklace kit. 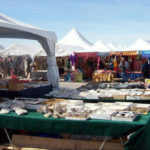 Use your bead weaving skills to peyote-stitch a heart pendant, then use kumihimo to braid the beaded rope. 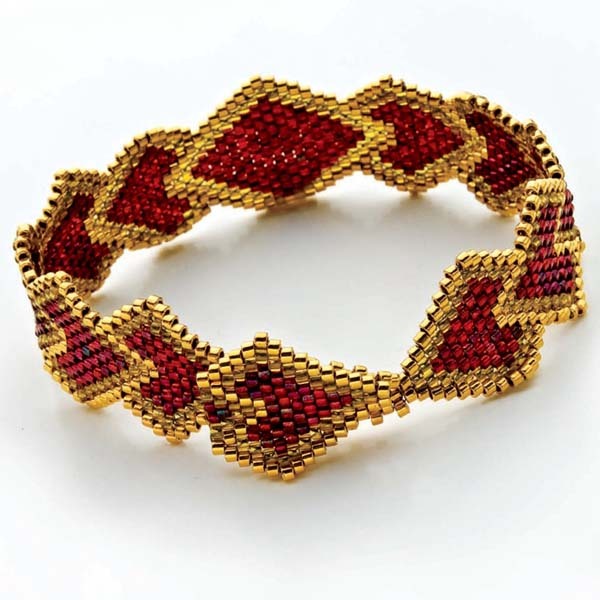 For more bead woven and beaded kumihimo projects to love, check out the Interweave Store!